When you need TV Antenna cables installed or repaired, contact the experts at Adelaide Telefix. 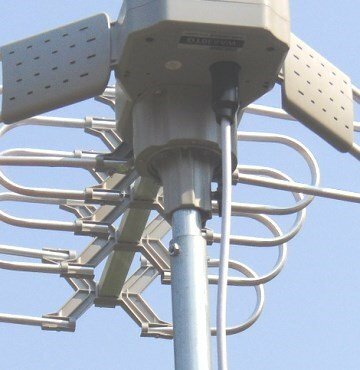 We know how important antenna cables are for getting high quality TV reception, and our team of technicians know how to best set up any cabling for your outdoor TV antenna to ensure that you get excellent signal and reception. If you have existing outdoor antenna cables, they may require maintenance. Although TV antenna cables are durable, environment and weather can wear cabling down or degrade them over time, and cabling that is years old may need to be replaced by newer, more durable cables. At Adelaide Telefix, we can fix or replace any cables that are worn or degraded, and we can check your fittings and connection points to ensure that they are still working well. If any cabling needs to be replaced, our team can provide you with the latest high quality antenna cables to ensure that your new cables are durable and give you the best reception for your TV. 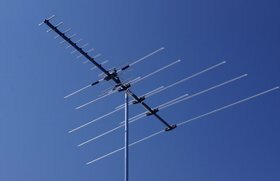 If you require new antenna cables for your outdoor TV antenna, we can do the job. Our technicians will install new high quality cables for you, and set up the cables so that they will provide you with the very best in reception and image quality for your TV. Additionally, we can run the new cables to an existing point indoors, or we can install a new point indoors for you if you would prefer. When we install new cabling, we always make sure to provide you with the best cabling for your antenna. Our technicians will provide you with cables that can withstand the elements, are durable and will last a long time, and they will also set up your cables so that you get great reception for your television. The team at Adelaide Telefix provide only the best quality service and cables, so your installation will be done quickly and to the highest quality. So if you're looking for new TV antenna cables to be installed, or you want your existing cables checked, repaired, or fixed, then Adelaide Telefix are who you should contact. We provide competitive prices, and excellent service to ensure that your TV antenna cables will last a long time and give you great reception for many years to come. If you are looking for new TV antenna cables, or want to fix your existing cables, get in contact with Adelaide Telefix and we would be happy to help you.